IN THE eyes of many, Noelle Capili is naturally high-spirited and a classic class clown. Little do they know, she is also a social media-savvy activist fighting the good fight and tearing down stereotypes. Born in the era of advanced technology, Noelle can always be found on social media documenting her daily experiences and expressing her thoughts one tweet at a time. Even with her fascination with the said medium, the activist never thought of using social media as a platform to air out her sentiments and give voice to the people who cannot speak up on their frustrations in society. Eventually, Noelle used social media to express her sentiments and beliefs. She helped bring the battle on the streets into the pixels of the four-cornered screen. “[P]arang makikita mo kasi sa social media [na pwede] ka rin mag-explain kung ano talagang nangyayari sa bansa […] effective tool siya para sa’tin na ipaalam sa iba’t ibang taong [‘yung nangyayari],” she states. As a child, Noelle says her mind was already opened to social issues due to her critical taste in films. As a young pop culture enthusiast, one of her favorite movies was “Himala” starring Nora Aunor which tackles issues of religious faith, morality, and truth. In fact, it was also pop culture that pushed her to take up behavioral science in University. Inspired by the character Clarice Starling, who is a psychology graduate in the film “Silence of the Lambs,” Noelle was encouraged to pursue the program in college. Before becoming an activist, Noelle considered herself as someone living in an ivory tower, aloof from outcries on social issues. Despite being a behavioral science student who understands the workings of a person’s psyche, she had a bad perception of activists who were vocal about their stances on issues. Suddenly, her perspective on activism took a turn when she attended Lakbayan, an annual campout with indigenous people of the country. “[P]umunta ako tapos nakausap ko [‘yung Lumad], parang na-realize ko na may rason kung bakit sila nag-ra-rally, may rason kung bakit sila lumalaban,” she reminisces. Her dream of teaching the Lumad emboldened her to take up their cause. After learning about the injustices that the Lumad are experiencing, Noelle became eager to learn more about them, educate them, and be with them. “[I]aalay mo talaga ‘yung buhay mo para pagsilbihan ‘yung masa tapos para ipaglaban talaga kung ano ‘yung nararapat,” Noelle says. Aside from indigenous people’s rights, the behavioral science major also advocates for the rights of the Lesbian, Gay, Bisexual, Transgender, and Queer (LGBTQ+) community. 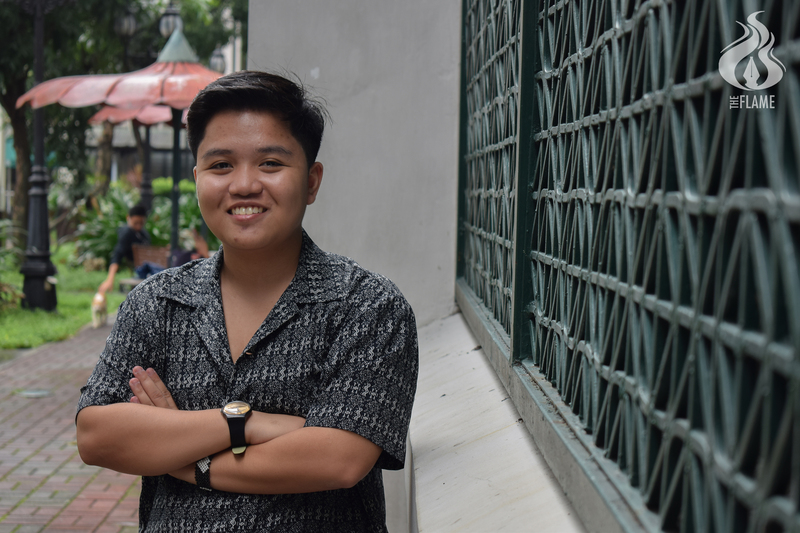 During her college years, she came close to forming an organization called “HUE” for LGBTQ+ students but unfortunately, it did not push through due to unforeseen circumstances. Being the voice of the marginalized, Noelle is not exempted from the challenges that activists face. For her, the most burdensome of them is red-tagging or associating activists with counterinsurgency operations. “Nakakatakot kasi once na-red-tag ka, lalo na in this political situation […] parang [automatic] na tatakutin or huhulihin ka. […] Ayun talaga pati ‘yung black propaganda against activists na bayaran daw. Hindi totoo ‘yung binabayaran kami; kapasyahan naming pumunta, kapasyahan naming maging aktibista,” Noelle confidently states. Despite having a huge following on social media, Noelle does not see herself as an influencer. According to her, the term “social media influencer” is now narrowed down to famous people who use their popularity to spew negativity instead of positivity, like those who complain about rallies without knowing much about the situation. “‘Di ko kinokonekta ‘yung sarili ko [as] social media influencer. ‘Pag natawag kang influencer dito, parang iba ‘yung image. Sana mabago ‘yung meaning ng social media influencer na ‘di lang pang-petty [and] pang-bourgeois kasi may mabigat na [influence] ‘yung ‘influencer’ eh,” she argues. On a positive note, Noelle says there are influencers who are willing to learn about the daily struggles of Filipinos once they are called out. For Noelle, it is better to inform yourself about a certain issue before posting anything on social media. “Mas okay na nag–i-investigate ka muna, nagtatanong ka sa mga kasama mo, or sa mga nandoon talaga, kung ano ‘yung nangyari bago ka [magsalita]. Kasi ‘pag bigla kang [magsasalita], parang medyo ‘makukuryente.’ ‘Yun ‘yung term kapag nagsalita ka ta’s mali [ka] naman,” she explains. As the realm of social media continues to grow, so does the challenge to bring about change, says Noelle. However, the revolution cannot only be found in online discourses, tweets, and Facebook posts; the real change happens offline. “[L]et’s keep in mind na hindi lang sa social media ang laban. Mas maganda na offline. Kasi social media can do so much pero mas maganda pa rin na aktwal na nandoon ka, nakikisalamuha sa iba’t ibang sektor,” the activist stresses. As a former Artlet, Noelle hopes that the Thomasian community will help stop giving activism a bad name. She also hopes that the institution will soon let students go beyond their boundaries and expand their knowledge on various issues affecting the nation. Editor’s Note: This story originally appeared in Vol. 54 Issue No. 1 of the Flame released Oct. 26. You can read the print version here. NextFederalism: A road to inclusive growth?